Many people in the area have considered martial arts training, but few know where to begin. Here is a checklist of things you should look for in a reputable Martial Arts school. 1. What style do they teach and is it effective? ANSWER: Brazilian Jiu-Jitsu and Mixed Martial Arts training are currently taught to ALL members of the US Army (Combatives Program) and Marine Corps. Its universally accepted that a blend of Boxing, Muay Thai Kickboxing and Brazilian Jiu-Jitsu are the key ingredients to a successful REAL WORLD Martial Arts program. 2. Are the Instructors Qualified to teach? ANSWER: This is very important! If the trainers are not experts in their art, then you could be entering into a dangerous situation. 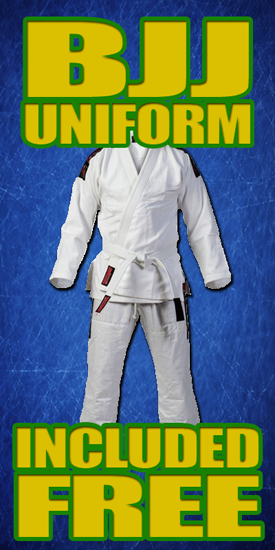 What rank do they have in Brazilian Jiu-Jitsu? Where did THEY train? How long have THEY been training? Have THEY ever competed in Brazilian Jiu-Jitsu or Mixed Martial Arts? If these answers are unclear its best to look else where. 3. Have they created any champions? ANSWER: This may be a trick question but its a good one to ask. The key element is this. Have they ever taken a person off the street, with ZERO wrestling and ZERO previous Martial Arts experience and turned them into a champion competitor in national or world class events? 4. What is the condition of the facilities? ANSWER: The quality of training is not always determined by the structure that its in. BUT you want to know that your training in a safe, healthy environment don't you? It also lets you know what kind of value the owners put on their gym. If they pocket all of the students membership fee's while letting the gym fall apart, it only hurts you the student, who has to train on substandard or broken down equipment. 5. What are you paying for? ANSWER: This is an issue of cost vs. value isn't it? Nobody walks on to the lot of a Mercedes dealership and expects to pay Kia prices. The same goes for your martial arts training. You think your getting a deal with a bargain price gym membership only to find that the guy who is teaching you is barely qualified and is really wasting your time, money and potentially risking your safety! 6. Do they offer introductory programs for new students? ANSWER: Many gyms just throw the new students into the mix from day one, with a "sink or swim" mentality. That is no way to teach a person with zero experience, and it could cause undue injury. A basis in the foundational elements is needed for growth in any martial art. 7. What is their curriculum based on? ANSWER: First, ask if they offer a curriculum. Many schools do not have one! 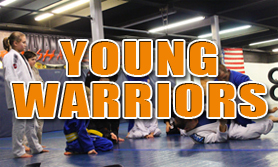 When we started Kindergarten, our learning was conducted by way of a curriculum (all the way through college) and your martial arts training should be no different. 8. How long have they operated in Westmoreland County? ANSWER: Finding a school that has taught the same style in the same area can be tough sometimes. Many traditional martial arts schools have now switched over to calling themselves "MMA" or "BJJ" schools in hopes of banking on the popularity. Heres some good news....The premier Brazilian Jiu-Jitsu and MMA Training Center in Greensburg is now accepting new students for its Introductory classes. These classes are designed to teach beginners the foundation they NEED to be successful, on the street, in competition or just at life in general!